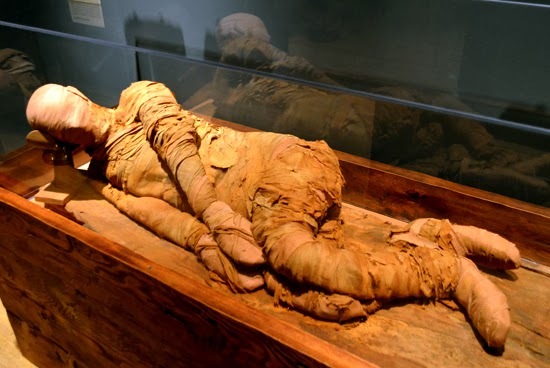 Did you know that the oldest Egyptian mummy in the Americas is right here in Atlanta? Every time I go to the Michael C. Carlos Museum, the Egyptian, Nubian, and Near East gallery is a must-see, regardless of how much or how little time I have. This particular mummy, that of a young man, is from the Old Kingdom, Dynasty 6 (2345-2181 BC). This person's body was placed on its side, in a sleeping position. 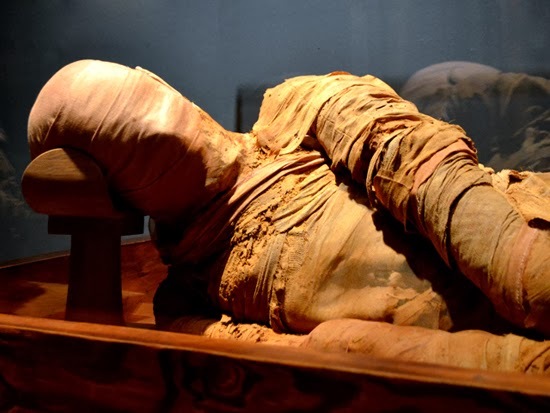 It wasn't until after the Old Kingdom that the deceased were consistently positioned in the supine position. Ancient Egypt is such an incredibly fascinating culture. It's hard to believe that it wasn't until the 1920s, with the discovery of King Tut's tomb, that Ancient Egypt gained widespread popularity. I'd actually gone to the Museum that day to see the currently running Romare Bearden: A Black Odyssey exhibition—a series of collages and watercolors based on Homer's The Odyssey. Unfortunately, photography was not permitted, so I don't have anything to show you, but I can tell you that the show is extremely well done...I was beyond impressed, fascinated, and left in awe that I'd never seen an exhibit quite like this one. When you're visiting the Michael C. Carlos Museum—on the Emory University campus—you'll get to see among their permanent collection ten mummies, nine coffins, and a wide variety of other artifacts. The other galleries are equally fascinating. Make plenty of time to explore!